Foundation Masters, LLC is a licensed engineering and contracting firm that specializes in geotechnical engineering and construction. 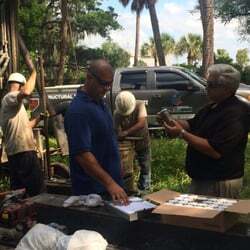 We have completed thousands of geotechnical investigation and construction projects in the Tampa Bay area, ranging from residential structures, high-rises, commercial buildings, forensic studies and restorations, sinkhole investigation and remediation, earth retaining structures, roadways to solar farms. Our engineers and other professionals are highly experienced and dedicated to finding the best solutions for your projects and to providing high quality services. Geotechnical services are important in each of the due-diligence, design and construction phases of a project, whether it is a high-rise building, manufacturing plant, dam, landfill, bridge or any other structure that is supported upon or within the earth. Our role is to help our clients evaluate the subsurface condition at a site to establish the most suitable and cost-effective foundation alternative for the proposed structure. The alternatives may include spread footings, deep foundations using piling or caissons (drilled shafts), and ground improvement techniques such as stone columns, vibro compaction, and soil cement mixing. Subsurface exploration involves sampling earth materials and analyzing them in a soils laboratory. Using the subsurface data, our geotechnical engineers will formulate foundation recommendations, and help clients avoid poor foundation design or performance or unnecessary construction delays. We offer strong analytical capabilities. We have established a variety of computer programs, ranging from conventional slope stability, settlement, and shoring-related routines, to a wide range of sophisticated finite element and finite difference based computer programs for soil/structure interaction analysis; static and dynamic response of deep and shallow foundations, embankments, or natural slopes. We have also developed spreadsheets to perform a variety of engineering computations and analyses. Above all, our engineers are very familiar with subsurface conditions and construction practices in the area, and have extensive experience in performing engineering analyses as well as monitoring post-construction project performances. To characterize soil, rock and groundwater conditions, we employ a wide range of investigative methods, procedures and equipment. Many factors such as budget, schedule, client expectations, as well as standards of practice and technical data requirements, are considered when developing an investigation program. Our objective in all cases is to apply the technology that best satisfies your needs. Techniques that we have routinely used include drilling and sampling using Standard Penetration Test (SPT) borings and CPT (Cone Penetration Testing) soundings. We have drilled numerous boreholes in the area and maintain an extensive database of soils and rock data throughout the area, which you will find very helpful for planning your project. 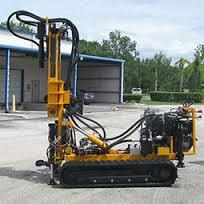 We are very experienced in providing geotechnical drilling services with cost-effective solutions. Utilizing our experienced engineers and a network of highly skilled drilling crews, our firm is committed to quality service and rapid response. Because each geotechnical engineering study is unique, our engineers structure their services to meet the specific needs of each client. 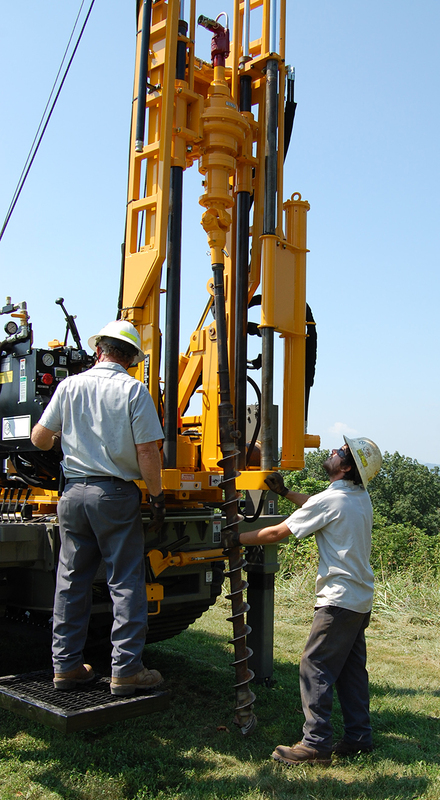 As part of the broad range of engineering services provided to our clients, we use geophysical techniques as a cost-effective, non-intrusive means to rapidly characterize subsurface conditions and man-made structures, frequently to supplement traditional geotechnical sampling and testing methods. Our experience spans from engineering investigations to forensic assessments of distressed property, and sinkhole or “cause of subsidence” evaluations. Underground utilities can pose serious challenges to construction and facilities management if their locations and depths are not accurately known. In addition to geotechnical applications, geophysical surveys are cost-effective means to map underground utilities in the design phase or prior to start of new and remedial construction activities. Geophysical techniques that we have routinely used include GPR (Ground Penetrating Radar) scanning, ERI (Electrical Resistivity Imaging) and seismic survey. We have used GPR to detect geological features, underground utilities, steel reinforcements in concrete structures/members, etc. ERI and seismic survey are mainly used to delineate geological features and measure seismic properties of subsurface materials. We continue to update our knowledge and techniques as well to research new techniques to improve our ability to provide our clients with the best services. The entire Florida peninsula is underlain by solution-weathered limestone that contains cavities and voids with sizes ranging from a few inches to more than 100 feet across. Furthermore, in Central Florida groundwater tends to flow downward vertically, carrying soils from upper sediments downward through cracks or breaches in the confining clay layer into cavities within the limestone. This process is called “piping” or “raveling”. Significant raveling can create a void in the overburden soils. When this void enlarges to a size at which the overlying soil can no longer support itself, the “roof” of the void collapses resulting in a sinkhole of the ground surface (a cover collapse sink). Often, when the overburden soils are sandy, and the available void space in the limestone is small, the settlement is more gradual (a subsidence sink). In either case, the effects on structures that are positioned above or very near the sinkhole are potentially damaging. Proper exploration and engineering is critical to evaluating sites for development and construction. The focus of a geotechnical exploration in sinkhole-prone areas is to locate potential problematic subsurface conditions and to define their vertical and lateral extents. We have completed thousands of sinkhole investigation and remediation projects. Historical Data: We first study the geology and hydrogeology through existing maps and aerial photographs, publications, contacting local agencies and landowners, and reviewing historical data published by the governments as well data collected by us in the past in the project area through prior investigations. Structural Survey: We will survey structural damages/distresses at the subject site and in its close vicinity. Our engineers are highly experienced in identifying patterns of structural damages associated with sinkholes and other common causes of structural distresses. Geophysical Survey: Typically we will perform a geophysical survey at the site using GPR (Ground Penetrating Radar) or ERI (Electrical Resistivity Imaging) survey to identify geological anomalies at the site as well as estimate the extents of the anomalies. Confirmatory Soil Test Borings: We will perform soil test borings in the areas of selected major anomalies, including sampling and testing, to verify whether the anomalies identified by the geophysical survey are indeed sinkholes. One or more of these exploration methods are used to evaluate the sinkhole potential of a site. The most important tool, however, is the knowledge and experience of the engineers conducting the investigation. They will know the most efficient and effective technique to apply in any given situation. Our engineers do not use technology for its own sake. Rather, we endeavor to apply the proper level of study that will obtain the appropriate information within the schedule and budget requirements. – plug the rock throat using non-reinforced concrete plug, stone plug, or partially grouted rock fill using rock smaller than ½ of throat width. – Soil is removed to expose the footing. – A heavy-duty steel bracket is installed below the footing. – Rugged, interlocking steel pile sections are hydraulically driven through the bracket until bedrock or stable soil is reached.